Note to visitors. In the first half of my career, I was in an academic environment and used to keep my CV up to date. But in the second half of my career as a community radiologist, I’m neither academic or seeking new jobs, so I don’t keep my CV up to date. So if you visit, and it seems like I haven’t “done anything recently”, that’s probably not true. I still attend CME courses, I’m still curious about interesting cases and diseases, and every day I’m googling something medical-related, plus, I subscribe to quite a lot of email services with medical and radiology news. The world is changing. Radiologists see double the case volume that they did 10 years ago, and we now can read the previous reports of other radiologists, every day, and look at previous scans done anywhere in the province on our current cases, for comparisons. This constant flow of cases, including previous images and previous reports, is actually our most important source of continuous learning. B. Sc. (gen) 1981 with Distinction, University of Alberta, Edmonton, Alberta. M.D. 1985 Medical school at: University of Alberta, Edmonton, Alberta. 2nd Year pre-licensure University of Alberta Hospitals, Edmonton, Alberta.07/01/87-06/30/88. Training included: Chest, GI, GU, Bone, Neuro, CT, US, Pediatrics, Angio/Interventional, Mammo, Nuclear Medicine (6 months). MINC Medical Identification Number for Canada, CAMD-0020-5853, Mar 20, 2002. Alberta, #010957. Issued June 28, 1993 to present. Saskatchewan, locum license #204597, issued Sept 18, 1995, expired. Tennessee, #MD-023755, issued July 9, 1992, expired. Associate Professor, Division of Oncologic Imaging, Dept. of Oncology, University of Alberta, April 2004 to 2006. Associate Adjunct Professor, Dept of Oncology, University of Alberta, July 1, 2003 to March 2004. Acting Director, Dept. of Oncologic Imaging, Cross Cancer Institute. Mar 2, 1998 to Feb 7, 2002. Associate Clinical Professor, Dept. of Diagnostic Imaging and Radiology, University of Alberta, July 2000 to 2006. Assistant Clinical Professor, Dept. of Diagnostic Imaging and Radiology, University of Alberta, 1996 to 2000. Divisional Director of MRI, August 1993 to 2006. Clinical Lecturer, Dept. of Diagnostic Imaging and Radiology, University of Alberta, 1993 to 1996. Senior Specialist, Dept. of Oncologic Imaging, Cross Cancer Institute, June 28, 1993 to 2006. Congress Award for best resident paper, Oct 15th 1990. Halls S, Portable Scanning Slit Device for Obese Patients, Presented at Canadian Association of Radiologists meeting, Vancouver BC. Samuel J. McCoppen Bursary, Summer 1981. Winner of MacUser magazine "Eddie" award for "Best Desktop Diversion of 1991" in MacUser Magazine March 1992, p 104. for "Talking Moose", software, version 4.0. Published by Baseline Publishing Inc, Memphis TN, October 1991. Medical Director and Chief Radiologist, CommunityFirst Diagnostic Imaging Inc. Calgary, Alberta. July 2005-Oct 2005. Senior Specialist, Dept. of Oncologic Imaging, Cross Cancer Institute. Edmonton, Alberta, June 1993 to June 2005. Fellowship in MRI, University of Tennessee, Memphis, July 1, 1992 to June 30, 1993. Halls SB, Narnaware A, Virtual Dissection MRI of internal Mammary lymphadenopathy. ISMRM Toronto, ON, July 15th, 2003. Halls SB, Ludwig RN, Accuracy of Breast MRI. Canadian Association of Radiologists Annual Meeting, Halifax, NS, June 14-17, 1998. Halls SB, Weight-based dose of intravenous contrast agent for spiral CT scanning. Western Canada Cancer Research Meeting, Banff Alberta, Oct 26-29, 1997. Halls SB, Bagnall KM, Roa WH, The Central Strata of Association Tracts in Cerebral White Matter, RSNA ’95, November 30, 1995. Halls SB, Portable Scanning Slit Device for Obese Patients, Canadian Association of Radiologists meeting, Vancouver BC. Oct 15th 1990. Alexander A, Murtha A, Abdulkarim B, Bistritz A, Halls SB, Mehta V, Murray B, Riauka T, Urtasun R, Fulton D, Roa WH. Prospective characterization of serial magnetic resonance spectroscopy in patients with malignant glioma undergoing radiotherapy. Current Oncology, 2005, 12:18-22. Roa W, Alexander A, Murtha A, Halls S, Mehta V, Fulton D. Feasibility of follow-up with imaging alone ( computed tomography or magnetic resonance imaging, or both) in patients with brain tumor. Current Oncology, 2004; 11:98-101. Robinson D, Murray B, Underwood L, Halls SB, Roa W. Escalated median dose for pituitary macroadenomas using intensity-modulated radiation therapy. Medical Dosimetry 2004; 29:26-30. Halls SB, Statistical Comparison of Proportions. AJR 2003;182:259-260. Xiao Z, McCallum TJ, Brown KM, Miller GG, Halls SB,. Moore RB: The AY-27 Rat Bladder Transitional Cell Carcinoma: A Novel Orthotopic Model for Human Bladder TCC. British Journal of Cancer, 1999; 81:638-46. Halls SB, The No-Reflow Phenomenon and Dense Fibrillary Gliosis; Causes of Dark T2-Weighted MR signal in Stroke, AJNR, 1996; 17:394-395. Piva II, Jeske D, Halls SB, MR Breast Imaging, Field Strength, 1997; 9:17-23. Mourtzakis M, Maneshgar M, Halls SB, McCargar L, Watanabe S, Baracos VE. Skeletal muscle tissue loss in advanced lung cancer patients demonstrates specific gender differences. Cachexia in Aging and Cancer, Chicago IL, Nov 2004. and Alberta Cancer Board Annual research meeting, November 2004. McCargar L, Maneshgar M, Mourtzakis M, Halls SB, Watanabe S, Baracos VE. CT image analysis of adipose tissue change in advanced lung cancer patients. Cachexia conference, Chicago, November 2004. Roa W, Murtha AA, Halls SB, Mehta V, Abdulkarim B, Fulton D. Feasibility of follow-up with CT/MR Imaging alone in patients with stable brain tumor. CARO 2004. Radiotherapy & Oncology 2004; 72: S49. Alexander A, Abdulkarim B, Bistritz A, Fulton D, Halls SB, Mehta V, Murtha A, Murray B, Riauka T, Urtasun R, Roa W. Characterization of serial magnetic resonance spectroscopy imaging in patients with malignant gliomas undergoing radiotherapy. CARO 2004. Radiotherapy & Oncology 2004; 72: S35. Holloway C, Thompson H, Robinson D, Connors S, Halls SB, Tankel K, Severin D. A Pilot study of intensity modulated radiation therapy (IMRT) in breast cancer patients. CARO 2004. Radiotherapy & Oncology 2004; 72: S31. Roa W, Underwood L, Murray B, Robinson D, Stavrev P, Laassami R, Halls SB. Dose-escalation with intensity-modulated radiotherapy for CNS tumors near the optic chiasm: feasibility and expected outcome. CARO 2002. Radiotherapy & Oncology S8, 2002; 65:#33, October 22-27,2002, Toronto, ON. Connors SG, Scrimger R, Halls SB, Treatment planning for 5 field irradiation of breast including internal mammary lymph nodes. Canadian Organization of Medical Physicists Conference Proceedings. pp 28-30, London, Ontario June 18, 1998. Connors SG, Scrimger R, Halls SB, Treatment planning for 5-field irradiation of breast including internal mammary lymph nodes. Med Phys 1998; 25:1073. New vision for prostate implant therapy. $75,873 funded by Alberta Cancer Board Research Infrastructure Program. April 2000. Sloboda RS, Pedersen J, Halls SB. Photodynamic therapy (PDT) of prostate cancer. $364,107 funded by Terry Fox New Frontiers Initiative. July 2000 – 2003. Moore RB, Allen T, Halls SB, Tulip J.
High-field MR for Biological Image-Guided Tomotherapy. Fallone BG, Urtasun R, McEwan AJ, Parliament M, Ryner L, Mackie T, Halls SB, Scrimger R, Murray D, Tuszynski J. $3,846,000 from Alberta Innovation & Science Research Investments Program. Jan 2002 – Dec 2005. High-field MR for Biological Image-Guided Tomotherapy. Fallone BG, Halls SB, Mackie T, McEwan AJ, Murray D, Parliament M, Ryner L, Scrimger R, Tuszynski J, Urtasun R. $3,846,000 from Canadian Foundation for Innovation. Jan 2002 – Dec 2005. Survival analysis of breast cancer patients according to node staging with Internal Mammary and Axillary MRI. Submitted Sept 2004 to ACB Bridge funding. Halls SB, Narnaware A, Jeske D, Kvame K, Piva D, McEwan AJB, Mackey J. Preliminary results of Internal Mammary MRI – followup of suspected positive cases. Annual ACB Scientific Meeting, Nov 12-14, 2003. Banff, Alberta. Xiao JZ, Halls SB, Dickey D, Partridge K, Tulip J, Moore RB. Interstitial Photodynamic therapy of Prostate Cancer: Pulsed light delivery versus constant light delivery. Annual ACB Scientific Meeting. Nov 12-14, 2003, Banff, Alberta. Halls SB, Narnaware A, Mackey JR, Prevalence of small internal mammary lymph nodes on MRI. Breast Cancer Symposium 2003, Toronto, On, June 20-21, 2003. Halls SB, McEwan AJB, Chmielowiec C, Mackey J, Narnaware A. Virtual dissection MRI of Internal Mammary lymph nodes. Annual ACB Scientific meeting, Nov 10-11, 2002. Banff, Alberta. Halls SB, Bistritz A, Hennig RC, Terry TJ, Campbell BA, Hofmann K, Narnaware A. Energy subtraction chest X-rays of metastatic pulmonary nodules. Annual ACB Scientific meeting, Nov 10-11, 2002. Banff, Alberta. 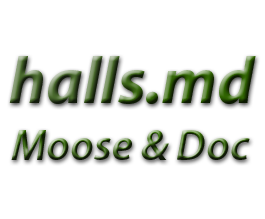 Halls SB, Duha A, Breast MRI can be quite accurate when used in appropriate situations. Annual ACB research meeting, Nov 8-10, 1999, Edmonton, Alberta. Halls SB. Minimizing hypodense hepatic veins on liver CT scans. Annual ACB research meeting. Nov 8-10, 1999, Edmonton, Alberta. Halls SB, Jeske D, Piva I, Morrison G, Hennig K, Development of MRI guided breast lesion biopsy/ wire localization. Annual ACB research meeting, Nov 8-10, 1999, Edmonton, Alberta. Halls SB. Screening mammography interpretation speed, accuracy and radiologist travel time. Annual ACB research meeting. Nov 8-10, 1999, Edmonton, Alberta. Xiao Z, McCallum TJ, Brown KM, Miller GG, Halls SB, Moore RB, The AY-27 Rat Bladder Transitional Cell Carcinoma: A Novel Orthotopic Model for Human Bladder TCC. Western Canada Cancer Research Meeting, Oct-26-29, 1997, Banff, Alberta. "Omnisim", an extensive authoring system for creating educational software. Published by University of Alberta Computing Services, Edmonton, AB, 1984. Runs on PLATO mainframe computers. 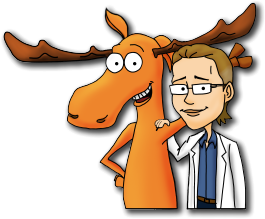 "Talking Moose", entertainment software for Macintosh computers. Version 1.0 shareware distribution 1986. Version 2.0 1987. Version 3.0 commercially published by Baseline Publishing Inc, Memphis TN, June 25, 1990. Version 4.0 October 1991. Winner of MacUser magazine "Eddie" award for "Best Desktop Diversion of 1991" in MacUser Magazine March 1992, p 104. Body Surface Area Calculator for Medication Doses, https://halls.md/body-surface-area/bsa.htm. 1999 to present. Breast Cancer Risk Calculator, https://halls.md/breast/risk.htm, Feb 2000 to present. Body Mass Index Calculator, https://halls.md/body-mass-index/bmi.htm Apr 2000 to present. Pediatric Growth Charts, https://halls.md/chart/child-growth/pediatric.htm, Dec 2000 to present. Adult Height and Weight Charts, https://halls.md/chart/height-weight.htm, Dec 2000 to present. Ideal Weight Calculations, https://halls.md/ideal-weight/body.htm Feb 2002 to present. Breast Cancer information website. http://breast-cancer.ca Created Nov 2000, Updated Nov 2014. Provincial Quality Committee. member. November 2002 to April 2004. Chair, Medical Quality Assurance Committee, Feb 2002 to April 2004. Provincial Quality Initiative Working Group, Member, Feb to Aug 2002. Information Systems Strategies & Priorities Committee, member. Sept 2001 to Sept 2002. Facility Committee of the Cross Cancer Institute. Member. Jan 1999 to Feb 2002. Research Advisory Committee, member, April 2000 to Feb 2002. Advisory Committee of the Cross Cancer Institute. March 1998 to Dec 1998. Budget Priorities Committee. March 1998 to Feb 2002. Department Directors Committee. March 1998 to May 2000. Radiation Safety Committee, member, March 1998 to Feb 2002. Medical Committee, member, January 1999 to Feb 2002. Infection Control Committee. Chair, August 1996 to December 1998. Health Records Committee. Acting Chair, October 1995 to August 1996. Health Records Committee. Member, November 1993 to August 1996. Medical Quality Assurance Committee. Member 1994 to March 2001..
Computer and Information Systems Steering Committee, Member 1995-1997. Digital Chest Equipment review committee, Chair, April 1998 to Sept 1999. PACS / RIS Equipment Review Committee, Chair May 2000 to Aug 2002. Breast Centre planning committee, member, December 2000 to Feb 2002. NeuroOncology tumor group, member, 1993 to 1999. Lung tumor group, member, 1993 to 1999. Pediatric tumor group, member 1993 to 2005. Member, Alberta Health Diagnostic Imaging CT & MRI subcommittee, 1998,1999. Member, POG Diagnostic Imaging subcommittee. 1993 to 1999. Member, Diagnosticare MRI advisory committee. 1999. Member, Academic Steering Committee, University of Alberta Dept. of Radiology and Diagnostic Imaging. September 1999 to Feb 2002. Member, Canadian Cancer Control Group, Diagnosis Working Group. Feb 2000 to 2001. Member, Canadian Committee on Cancer Staging. A subcommittee of the NCIC Advisory Committee on Cancer Control. March 2000 to 2001. Member, Alberta Health and Wellness, Imaging Appropriateness Committee, PACS working group, 2001. Alberta Breast Cancer Research Foundation, – Digital Mammography and CAD, 2001. Member, Canadian Medical Protective Association. Member, College of Physicians and Surgeons of Alberta. Penn Radiology Breast Imaging: State of the Art. Aug 11-12,2018, 15.5 hours. ASR Annual Mammography Review. Oct 2017. Red Deer. 6 Hours. iiCME inc, Mammo with the Masters (video series) 17.2 hours. completed Dec 22, 2015. ASR CME conference, April 2014. Rimrock hotel, Banff. ASR 3rd Annual Mammography Review March 16, 2013, Red Deer. ASR CME conference, Sept 28-30. Kananaskis. Sept 28-30, 2012. 6 hrs. ASR 2nd Annual Mammography Review, March 11, 2012. 6 hrs. Fetal Cardiac Screening: the Basics and Beyond. Sept 17, 2011. 12.25 cat 1 credit. Edmonton. ASR 1st Mammography Review. Red Deer Hospital. March 19, 2011. 7 hrs. DARN. seems that my entries for CME from 2009 and 2010 have been lost. ASR CME Stavros and Stickles US and Mammography. Shaw center, Edmonton. Oct 16-18, 2009. Fetal Cardiac Screening, The Basics and Beyond Conference. Sept 20,21, 2008. Edmonton, AB. 9.25Hrs. Finding Breast Cancer in Early Stages. Ditection, Diagnosis and Implication for Management. (Tabar). Seattle, Washington, Sept 5 – 8, 2007. 26 Hours CME credits. ISCD Bone Densitometry Course and Certification exam (passed). Dec 3-4, 2005. MedPix Case(s) of the week #101 – 262, Oct 30 – Nov 11, 2005. ISMRM Educational Symposia, May 6-7, 2005, Miami Beach, Florida. ISMRM Scientific Meeting, May 8-13, 2005, Miami Beach, Florida. Annual ACB Scientific Meeting, November 12-14, 2003, Banff, Alberta. Annual ACB Scientific Meeting, Nov 10-11, 2002, Banff, Alberta. Radiotherapeutics RF ablation , with Dr. Stephen Ho, Vancouver General Hospital, Jan 10, 2002. BC Women’s Breast Conference, Imaging and Intervention. Vancouver, BC, January 26-27, 2001. RSNA 1999 November 28 – Dec 5, 1999, Chicago, IL. Alberta Cancer Board annual research meeting, Edmonton, AB, November 9-10, 1999. Symposium on Hyperthermia Oncology, Edmonton, AB, November 8, 1999. Ethics in the new millenium… what the research needs to know! Edmonton, October 27, 1999. Electronic Imaging Management Symposium, Toronto, ON, Feb 4 – 8, 1999. Canadian Association of Radiologists, Annual Meeting, Halifax, June 14-17, 1998. Western Canada Cancer Research Meeting, Banff, October 26-29, 1997. Philips MRI users group. Scottsdale, AZ, Sept. 1997.
International Society of Magnetic Resonance in Medicine, annual meeting, Vancouver BC, April 13-18, 1997. Musculoskeletal MRI course, Banff, July 22-26, 1996. Breast MRI workshop, Washington DC, 1995. Radiologic Society of North America, annual meeting, Chicago, IL. December 1995. Pediatric Oncology Group, semiannual meeting, Florida, April 7-10, 1995. Alberta Cancer Board annual research meeting, Calgary, AB, November 10-12, 1994. Alberta Cancer Board annual research meeting, Kananaskis, AB, November 1993. Canadian NeuroOncology Society meeting, Lake Louise, AB, May 18-21, 1994. Society for Magnetic Resonance Imaging, annual meeting, Dallas, TX, Mar 4-10, 1994. Private Pilot License, #474653, December 2007, Night Rating February 2008.